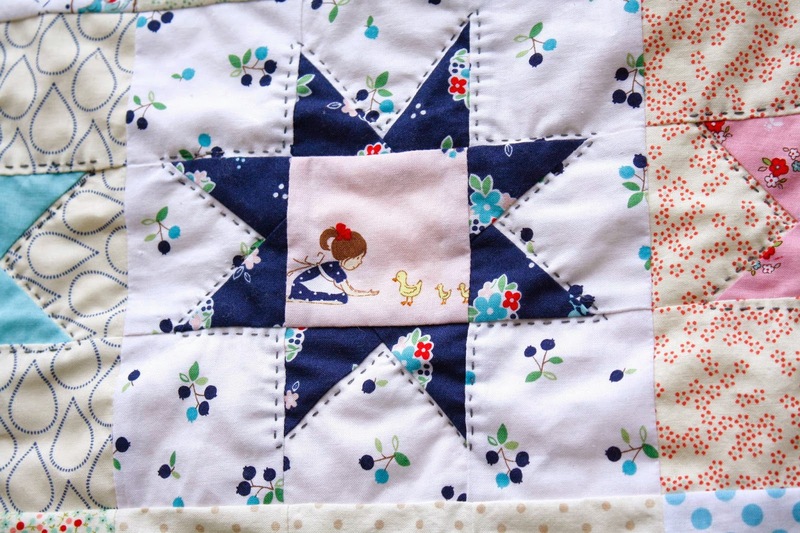 Quilt Story: Sweetest mini from Why Not Sew....precious! Erin from Why not sew makes simply the most precious projects! We happened upon her blog several years ago, and have been stalker fans of hers ever since! This mini with Country Girls fabric is simply darling! Head over to her blog, where you will find yourself making outloud "ooohh" and "ahhh" sounds. Seriously. You. Will. Love! 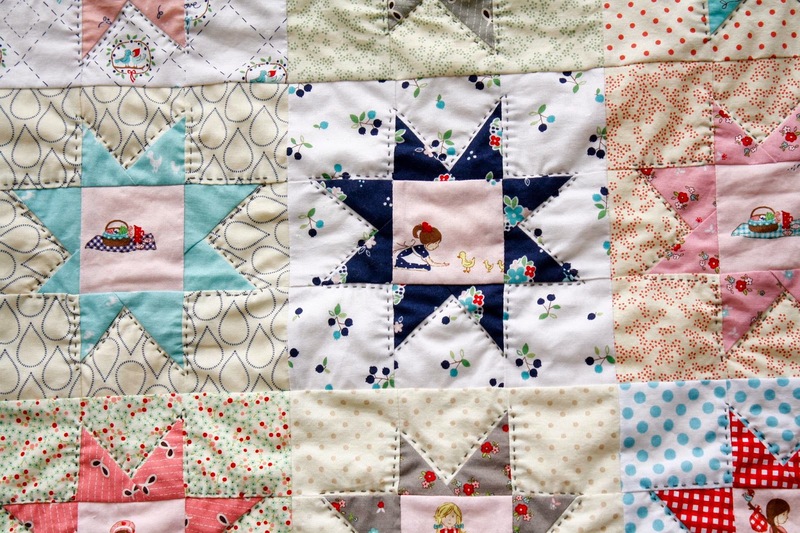 Your quilt is so adorable, I really like the fabrics and color combination you have put together, beautiful! I love this! 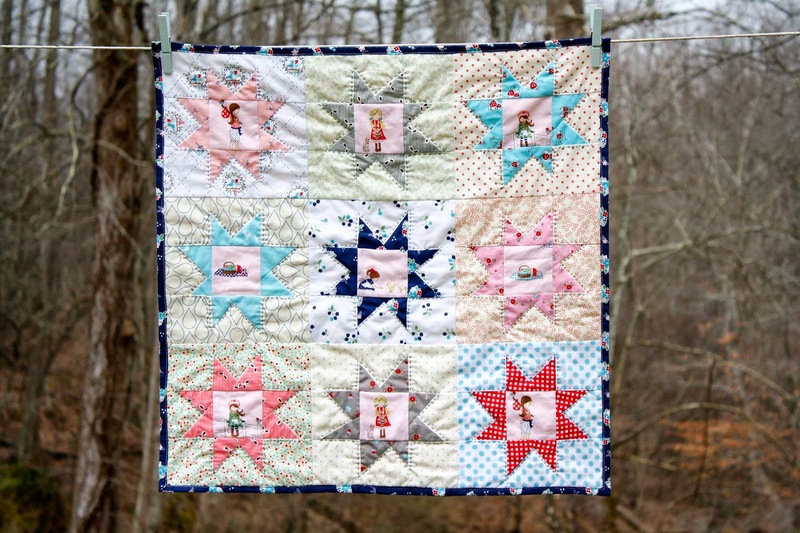 The fussy cuts and hand-quilting are beautiful! that is really very sweet! Your mini is adorable, I tried to visit Erin's blog but the link does not work! This is so cute. Beautiful fabrics and love the hand quilting. Super cute! I love the hand quilting!